» A full week of school and other going ons. A full week of school and other going ons. I am writing at the end of a very good day for Gabriel! He was energetic, spunky, even a little naughty at times…pushing boundaries. But in our world…this is good because it means he is feeling good ( I don’t think our cat that got pounced on would agree…but at least she got an apology). The highlight of my day was when Chuck got home from work and he, Gabriel and I all laid on the floor wrestling and laughing. Grandma Gaye snuck in and took a picture for me. I love that he is smiling and alert. Grandma said he even answered his classmates guesses with yes or no. I laughed at the irony of the headphone shirt I had chosen for him to wear (totally by accident). 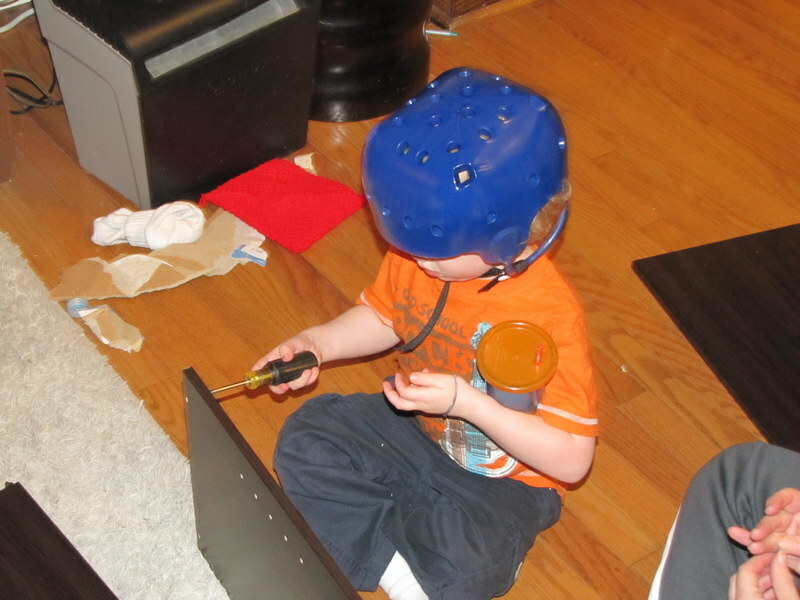 He has had 2 days with only 1 seizure…yippee! WHAT? Am I really excited about a day with a seizure? well, I guess so, because it is much better than double digits and we are headed in the right direction. We have added some extra calories at the end of the day and that seems to be helping. We are now testing his ketones with a blood meter (like diabetics use). It is incredibly helpful in getting realtime readings on his ketones. These numbers helped us communicate with the doctors that led us to deciding more calories is what he needed. We are so blessed by a fellow doose family who shared some extra testing strips they had. At this point our doctors will not prescribe them and they are $5 per strip. UGH! Hoping the doctors at John’s Hopkins will be more open to listening to us on this. It is confusing to us why our team won’t prescribe when it is clear from the various reputable sources and parent boards that many, many keto kids have the blood meters. Oh well. In other non medical news, we have had a wonderful week recouping, catching up and even relaxing a bit with Chuck’s parents in town. 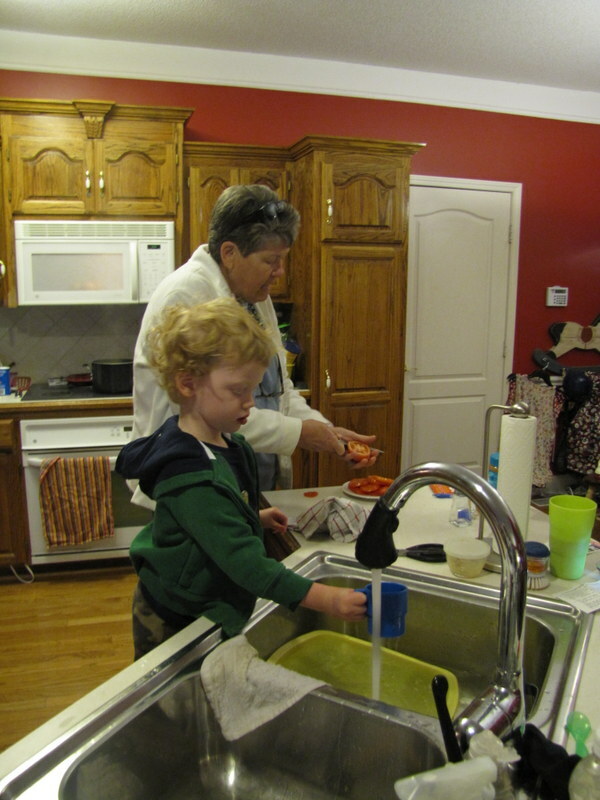 Gabriel has loved helping Grandma Gaye in the kitchen. 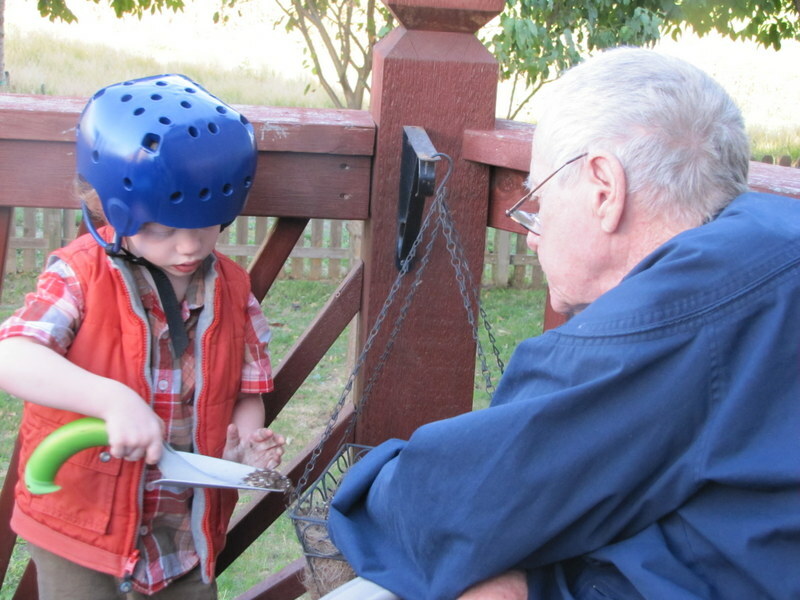 He has played a lot with Grandpa Frank, including some very important gardening. On Christ the solid rock I stand, all other ground is shifting sand.